US Army, Staff Sgt. Aaron Allmon IIUS Soldiers from 3rd Armoured Cavalry Regiment in an M1 Abrams main battle tank in Biaj, Iraq, in May 2008. Army Lt. Gen. John M. Murray told the Senate Armed Services Committee’s Airland subcommittee that other militaries — including some potential adversaries — have produced tanks that could match the US’s marquee battle tank, the M1 Abrams. “I think for the very near term, the Abrams is still near the very top of its class,” Murray, deputy chief of staff for financial management, told the Senate, according to Defence Tech. “I think we have parity,” he said of the Abrams, which entered service in 1980, in response to a question from Alaska Republican Sen. Dan Sullivan, who was a Marine in Afghanistan. Later, when asked about peer or near-peer tanks by Arkansas Republican Sen. Tom Cotton, Murray named several models. “I would say that the Israelis’ — the Merkava — would be one,” he said. Vitaly V. KuzminA T-90A tank firing its main gun at Engineering Technologies 2012. Of the tanks Murray mentioned, Israel’s Merkava IV is the newest, introduced in 2004. Russia’s tanks — the T-90 and the T-14 Armata — are Moscow’s latest models. 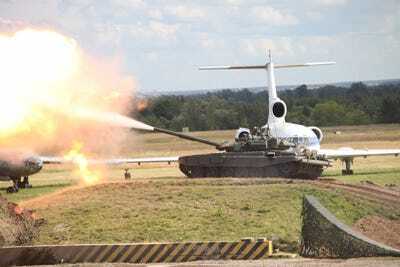 The T-90A, the latest iteration of the 1970s’ T-72, came online in 2004 and has a number of sophisticated armaments, including antitank and anti-missile systems — although it appears to have reached a “dead end” for improvements, according to Popular Mechanics. The Armata is Russia’s newest tank and is based on a completely new design, though development issues and budget cuts appear to have slowed its deployment. Staff Sgt. Brooks Fletcher, US Army Europe Public AffairsA British Challenger 2 takes part in the Saber Junction exercise in Hohenfels Training Area, October 28. 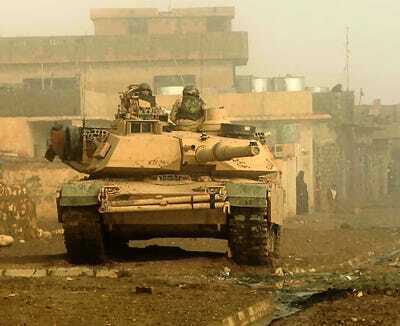 The T-90A is the only tank used by US adversaries’ Russia and Syria, Popular Mechanics notes. The UK has its Challenger 2, debuted in 1998 to replace the Challenger 1, which was in service during the Cold War. 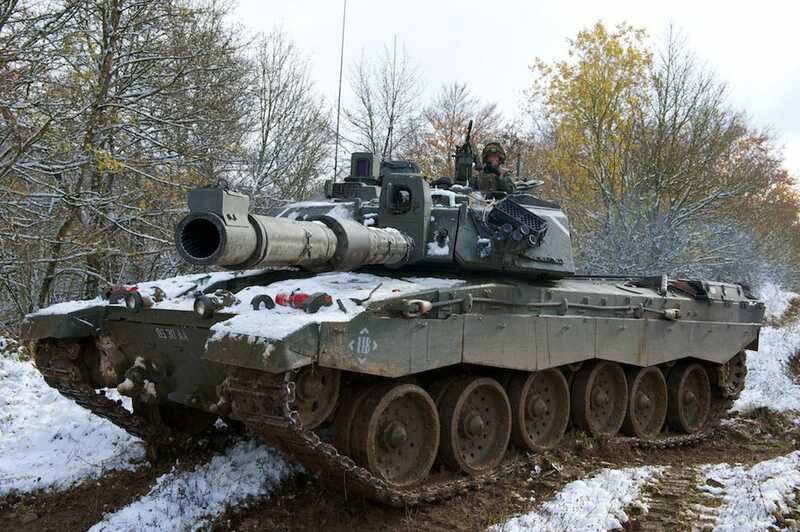 As the Challenger 2 and T-90A have been in service for most of the last 20 years, their parity or near parity with the Abrams has existed for some time. Murray, responding to questions, didn’t mention several other current tanks, including Germany’s Leopard 2 and Japan’s Type 10. Nor did he refer to China’s Type 99. Besides tanks, there is also plenty of competition for the US military in the air as well. China’s Defence Ministry recently said its plans to demobilize 300,000 troops to free up cash for more high-tech air force and navy weaponry were on track. 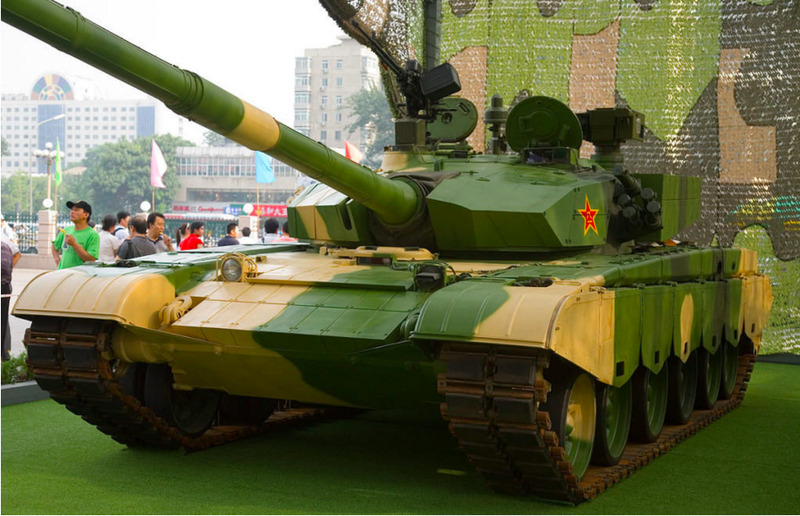 Murray’s omission of Beijing’s Type 99, introduced to service in 2001, may mean the Pentagon still sees the Abrams as more advanced. Max Smith Public DomainA Chinese Type 99 Main Battle Tank on display at the Beijing Military Museum, August 1, 2007. The Abrams, continually upgraded over the last decade and a half, appears to be nearing the end of its operational life, Popular Mechanics notes, though the US military has yet to settle on an effective replacement. The US Army is “just about reaching the limits of what we can do with the Abrams, so it is time for us to start looking at a next-generation tank,” Murray told the Senate subcommittee.